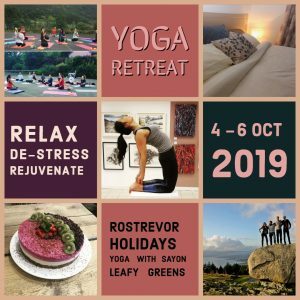 Yoga and Wellness Retreat, Rostrevor, Northern Ireland. 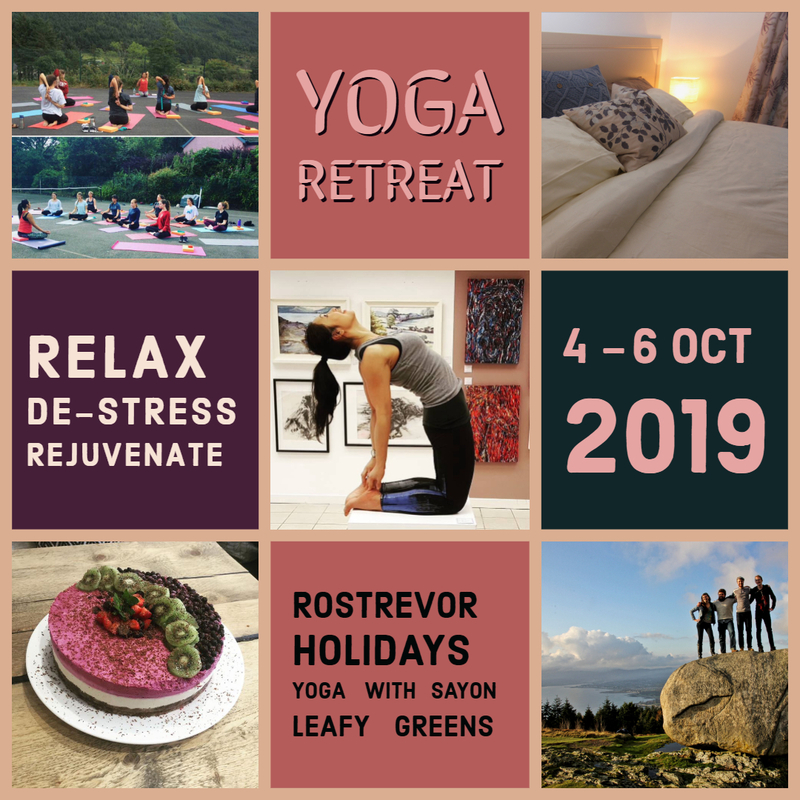 Sayon Cheung Mulligan (Senior Yoga Teacher – Yoga Alliance) will guide you through a yoga and wellness retreat at Rostrevor Holidays. Located in a tranquil environment in the foothills of the Mourne Mountains, you will find a place to quiet the noise. We intend to create an environment in which you can truly drop off the grid and recharge in nature and really engage with your surroundings and fellow yogis for a weekend of deep restoration. Invest in yourself. Nourish your body and mind this October with a weekend of yoga suitable for beginners and upwards. The yoga classes will be complemented with meditation classes, guided mindfulness walk, the option of cold-water immersion, relax around a campfire with a mug of Neary Nogs hot chocolate cradled in your hands. Leafy Greens & Co will provide you with a range of healthy plant-based meals and drink choices throughout your weekend. The activities are optional, but it is best if you try to participate in most to embrace the experience. 20.00 – Dinner – Vegan/Vegetarian fare catered by Leafy Greens & Co.
Free time – Option to visit Rostrevor. Explore the grounds of Rostrevor Holidays. Take a cold-water in the on-site river.